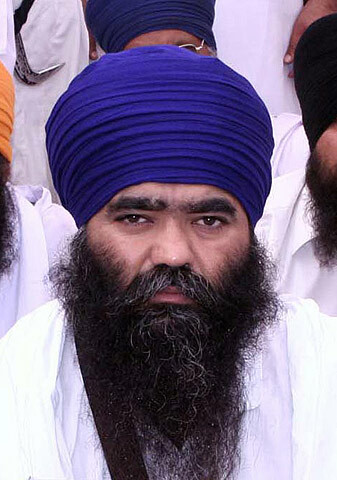 Amritsar: Damdami Taksal (Mehta faction) chief Baba Harnam Singh Dhumma today postponed his press conference that was called in Amritsar to clarify his organization’s stand on arrest of Taksal men in relation to deadly attack on Sikh pracharak Bhai Ranjit Singh Dhadrianwale on May 17. Earlier today, the Damdami Taksal announced to hold press conference in Amritsar at around 2 pm. But later the media persons informed that the press conference was postponed. A representative of Damdami Taksal chief told Sikh Siyasat News (SSN) over phone that Baba Harnam Singh will hold a press conference tomorrow. The Sikhs all over world united to oppose the movie” via Harcharanjit Singh Dhami .